Ah the Espy. 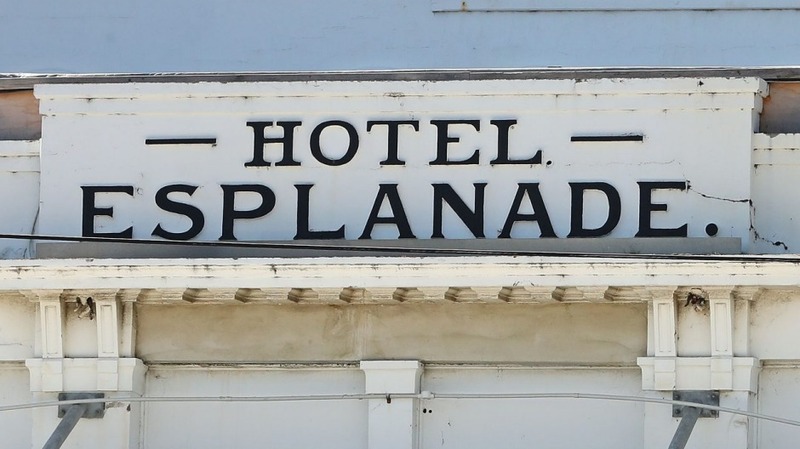 The Esplanade Hotel. Home to RocKwiz, the Gershwin Room, beers on the deck and 139 years of glamorous, gritty St Kilda history. And now, two years after shuttering for renovations that never happened, it's become the next project for the Sand Hill Road group of the Prahran Hotel, Holliava and Garden State Hotel fame. It's understandable if that news fills you with equal concern and relief. Sand Hill Road partner Andy Mullins acknowledges the new challenge the Espy presents the group, famous for turning classic buildings into modern playgrounds with the help of Techne Architecture. "Garden State is a stunning makeover, but that's not the Espy. It's such an iconic venue, that we need to be community led on this one. We're talking to local businesses, ex-band bookers, previous owners, residents and the historical society." Mullins says the collective is also "looking far back into the building's history, before it was the music venue we all know", for inspiration. Council permission pending, the plan is to keep all the Espy features: the bottle shop, public bar for beers in the sun with its grand staircase, a much more open kitchen, and they want to reopen the Gershwin room as "the best small-scale 650 person performance space in Australia". They also plan to utilise the upper decks of the five-storey building, starting with a dining room upstairs.